Fashion research is at least as heterogeneous as gender studies. But both are connected by the concept of the performative: They emphasize the process in which identities and meanings are practically produced. 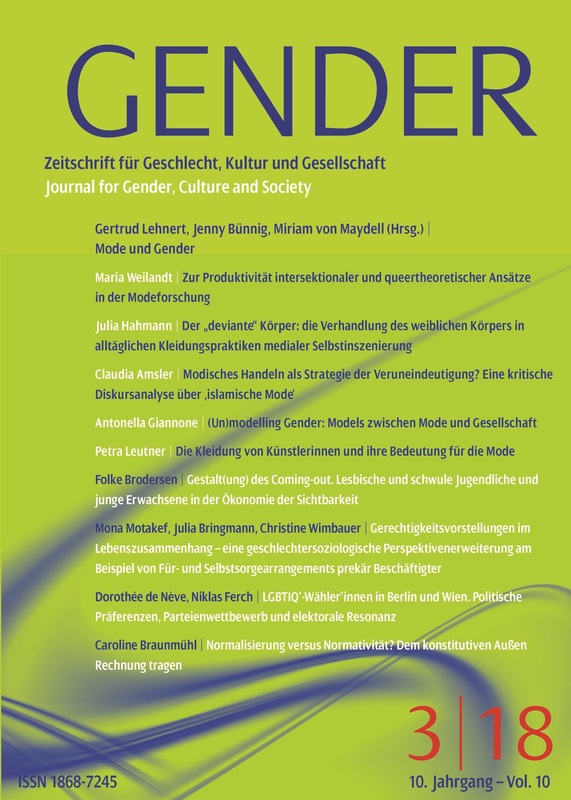 The current issue provides insights into selected and characteristic examples of the relationship between fashion and gender.